As long-dormant superpowers awaken, a young woman faces a terrible dilemma: betray her nation or hunt down her best friend? The future. Earth’s governments have fallen, succeeded by a unified military order. An elite group of soldiers, the Sentinels, protect Cotarion from marauders and neighbors alike. Within, shadowy forces at the highest levels conspire for the power they need to enact a mysterious agenda. But now, something has changed. Men and women have emerged, displaying superhuman abilities powerful enough to threaten the established order, and the High General commands Sentinel Cameron Kardell to track a superhuman gone rogue. A superhuman who holds the key to these powers’ origin. Who happens to be Kardell’s best friend. Who will reveal the truth of Cameron’s own origins. 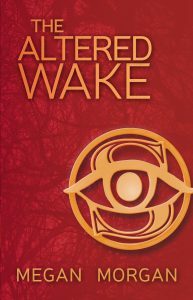 The Altered Wake is Megan Morgan's first novel. 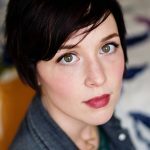 She is currently writing The Altered Rise, the second installment in the Sentinel Quartet. She lives with her book-loving children in Baltimore, Maryland.